Is it possible that a loan agent could have made up a value of my house to get me to borrow a high interest loan? Good day, Bill. 3 years ago my wife and I bought our first house in a brand new neighborhood. There are still houses being built at this moment. About close to a year after we moved in, i thought about getting a 2nd mortgage to pay some bills. At that time I did not have a very good knowledge about 2nd mortgages. So I applied, then the agent could not get an appraisal or value of my house since it was new and the neighborhood was still building houses. But about a month or so, the agent called and told me that I was approved for a 2nd mortgage loan. How did the agent get an appraisal of my house? -- I could not remember his answer to me. But my question is that is it possible that the agent could have made up a value of my house to get me to borrow a high interest loan? Also, after few months, they (2nd mortgage lender) sold my loan to a different lender. Is it possible that I may be a victim of a fraud? As I said, at that time all I cared was getting the loan. If, in fact, I may have been victimized, where can I go for legal actions? Thank you very much for your time. In answer to your question, it is certainly possible that the mortgage broker made up the value of your home in order to entice you into a high balance, high interest loan. However, I do not think it likely that the broker would try to "trick" you into a loan you cannot afford or which exceeds your ability to pay. As you may have heard, due to a significant downturn in the sub-prime mortgage market, obtaining a loan today is much more difficult than it was earlier this year. A few months ago, I would not be surprised to hear of a broker misrepresenting the amount of equity in a borrower's home to allow for a larger loan than justified by the equity in the home. However, due to significant abuse in the mortgage market and a rash of defaults and foreclosures, lenders now require much more documentation of property values and borrowers' ability to repay new loans. Therefore, it would surprise me if the broker in question simply "made up" the amount of equity in your home. Even without a formal appraisal, brokers can utilize several resources to assist them in determining the approximate equity in a home. One example is Zillow.com, a website which allows the public to see the approximate value of a large number of properties in the United States. This service uses sales prices, appraisal information, and other data on comparable homes in a given area to estimate the value of a home. By subtracting the balance of your current mortgage, which is available on your credit report, from the approximate value of your home, the broker can obtain a reasonable estimate of the amount of equity you have built in the property. While a lender would likely not fund a refinance loan or second mortgage with such potentially inaccurate information, a broker can use this data to help him with determining whom to target with his marketing efforts. As mentioned previously, I seriously doubt that the broker who contacted you is making up the value he is using to determine your potential eligibility for a second mortgage. Rather, he is probably using publicly available information to estimate that value of your property. If you want to proceed with a new mortgage loan, the lender would almost certainly require a formal appraisal of your property to determine its actual value. In regard to your question about fraud, mortgage lenders are allowed to sell any mortgage notes they own to a different lender, so the fact that one of your mortgage notes was sold does not necessarily indicate that any improper activity has occurred in regard to the note. 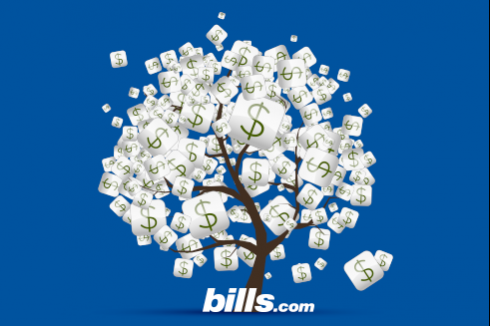 To learn more about home refinance loans and second mortgages, I encourage you to visit the Bills.com mortgage resources page. In addition, if you enter your contact information in the Bills.com Savings Center, we can have several pre-screened lenders and brokers contact you to discuss the refinance and mortgage options available to you. I wish you the best of luck in finding a loan that suits your needs, and hope that the information I have provided helps you Find. Learn. Save.